Melissa Foster is someone who knows what she is doing... she creates situations that warm our hearts as we watch them unfold. She is the Queen of Heartwarming Series and every time I crack open one of her books, I know I will be taken to place I won't want to leave. 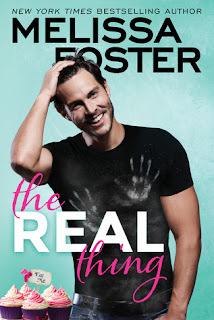 The Real Thing is a new series that focuses on a hidden love that becomes front and center when movie star long time "friend", Zane Walker, needs a "Cover Fiancee." He needs this to clean up his reputation. The only person he can truly trust is a girl who came to him... asking for a favor of a lifetime long ago. Willow Dalton has always had a soft spot for Zane... yet sometimes his arrogance and confidence has driven her nuts. They have this friend/enemy thing happening... which actually hides the true/real feelings they both have. 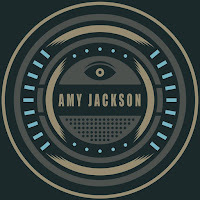 When Willow drives at breakneck speed to a resort thinking she is about to have the interview of her career, she has no idea how life changing it actually will be. She has been working so hard to make her bakery a success and closing a contract with the resort would take her to the next level. Of course, they do...and the icing on the cake... Zane is responsible for her being there in the first place! When he comes clean as to why she is really at the resort, he presents her with a proposal... She will get the exposure her bakery needs and he will have a trusted friend helping him "clean up his act" as his pretend fiancee. This is a sweet story done well by Melissa Foster. We get all the yummy bits of two people who have cared for each other all along. Thank you so much for sharing your lovely review for THE REAL THING! !